Little Tikes Activity Walker Just $19.88! Down From $40! Shipped! 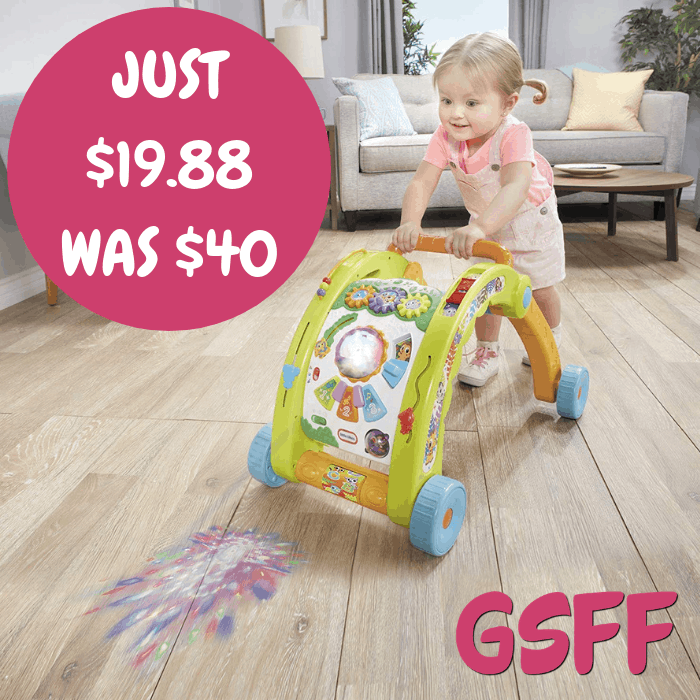 You are here: Home / Great Deals / Amazon Deals / Little Tikes Activity Walker Just $19.88! Down From $40! Shipped! Amazon is currently offering this Little Tikes 3-In-1 Activity Walker for just $19.88 down from $39.99 PLUS FREE shipping! Little Tikes encourages babies to walk in a whole new light with the Light ‘n Go 3-in-1 Activity Walker. When baby begins pushing the walker, fun engaging lights activate and project on the ground in front of the walker inspiring baby to keep moving. Adjustable speed control on the wheels protect beginning walkers. The walker easily converts to an activity table packed with fun and unique features. Babies can sit and play since the walker folds in half, moving the activity panel close to the floor. With over 70 activities, songs and sounds and 3 ways to play your baby will learn about shapes, colors, music and more with the Light ‘n Go 3-in-1 Activity Walker! Activity Panel Table features a Monkey Slider, Peek A Boo Lion, Spinning Toucan ball that makes fun animal sounds and noises and more!